This is self-help for the thoughtful reader. Mark invites us to think about life in the same way he does. In 10 chapters, or 'rules', he presents the methods and tricks he used to make the decisions that worked for him. And these decisions have proven to make him happy. 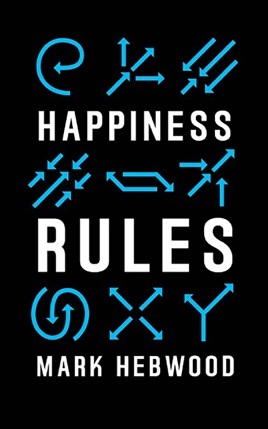 In the opening chapter, he explores the key to happiness - how to know who we are. Eight further chapters talk about how we can find out what it is that we want to achieve, and how to achieve it. The final chapter presents a test we can use to find out how happy we are, and how happy we may become. But basically, there is nothing special, or private, about Mark's methods - anybody can use them, and they may work for anybody. And that, in short, is the appeal of this book.